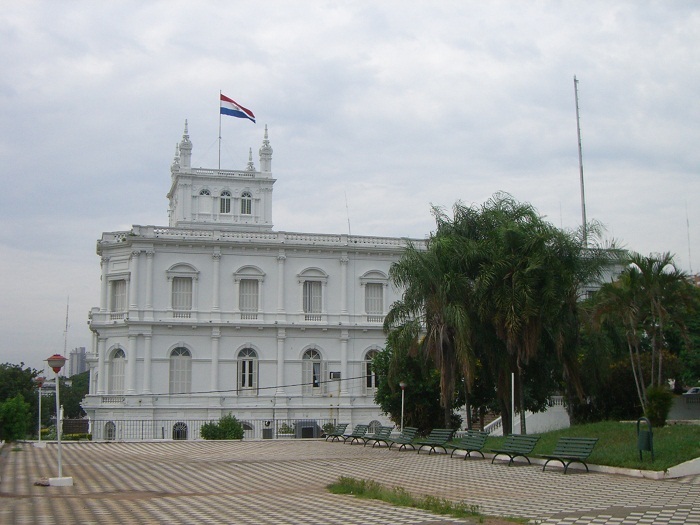 Palacio de los López is a palace and the official workplace of the President of Paraguay, located in the capital city of the Republic of Paraguay, Asunción. 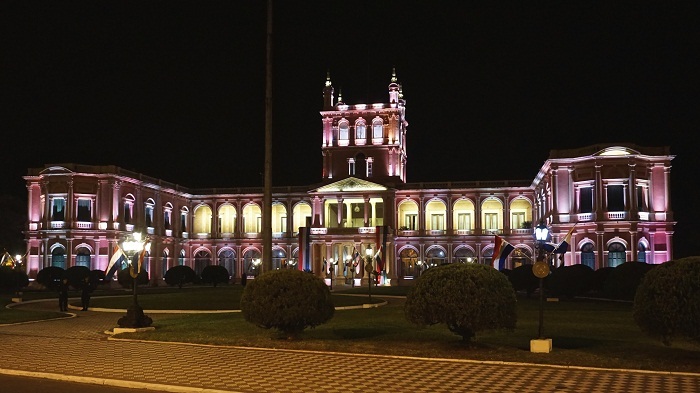 Also, Palacio de los López is the official seat of the national government and one of the treasures of the Asunción’s cultural heritage. 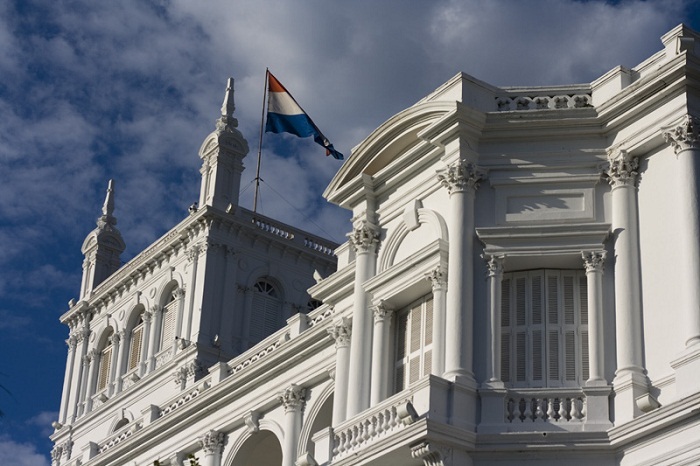 The Palace is located, more precisely, in the center of the capital city, overlooking the Bay of Asunción, and got its name from the General Francisco Solano López. 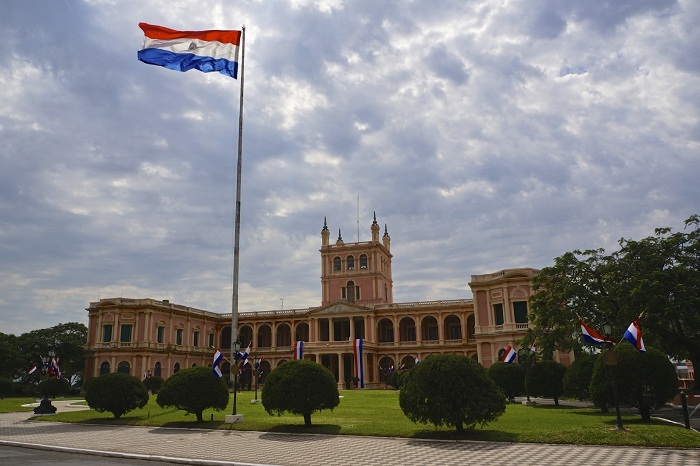 He is the son of Carlos Antonio López who was the leader of Paraguay from 1841 to 1862, and has ordered for the palace to be built as a residence for his son. 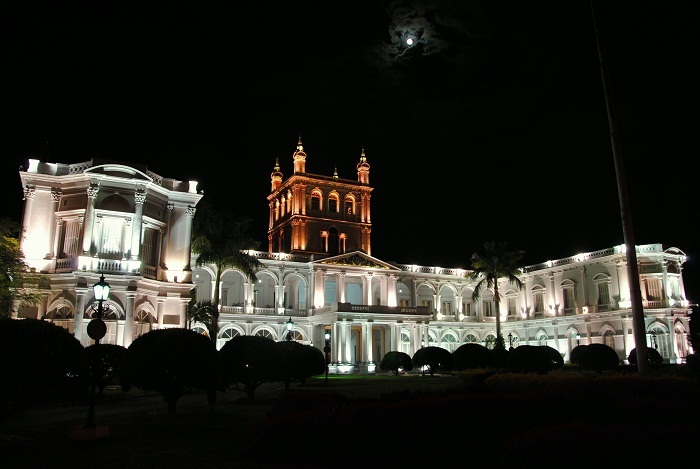 The architect responsible for the construction is Alonso Taylor, an English architect whose work began in 1857. 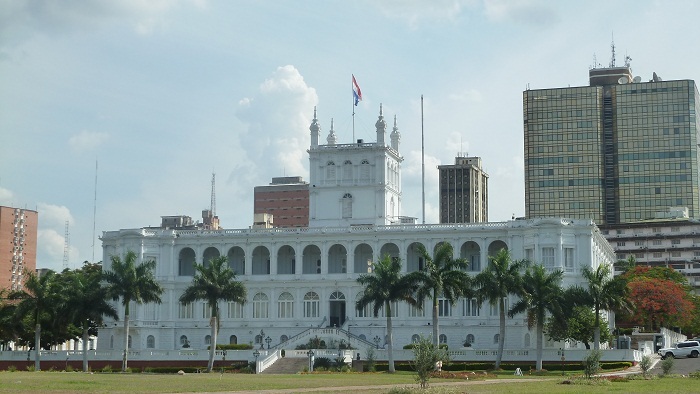 All of the materials used for the Palace to be built are from several places in Paraguay; stones from the quarries of Emboscada and Altos, woods and odrajes of Ñeembucú and Yaguarón, bricks of Tacumbú, iron pieces molten in Ybycuí, etc. 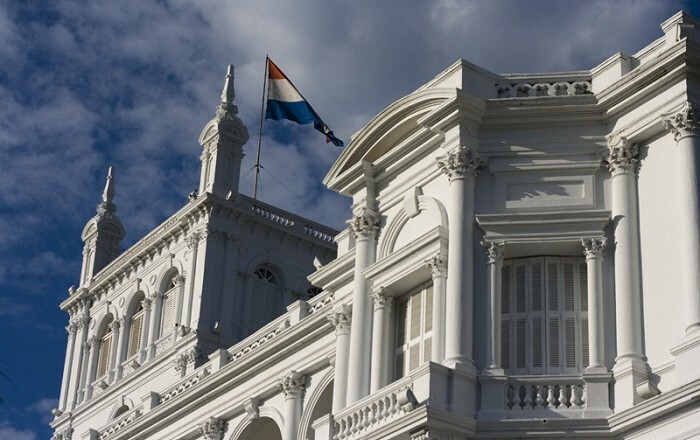 The Palace has a shape of the letter U, counting two floors, with a tower that has four floors on which stands the flag of the Republic. 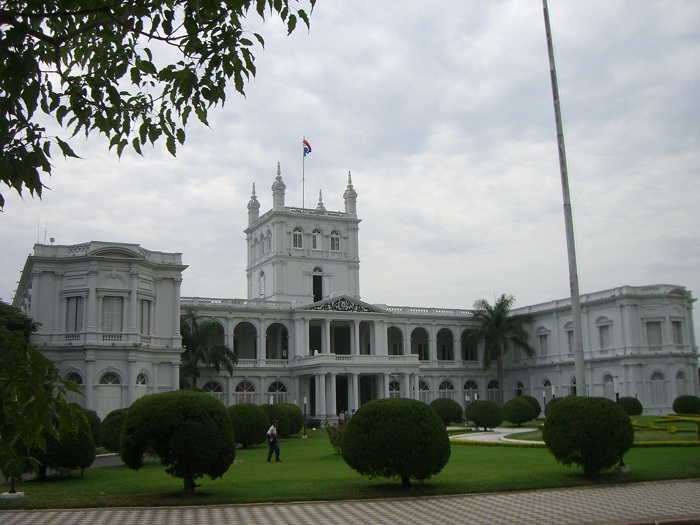 There are unique ornaments all around the building and small garden in front of the entrance which is welcoming the foreign delegations visiting this majestic architectural masterpiece. 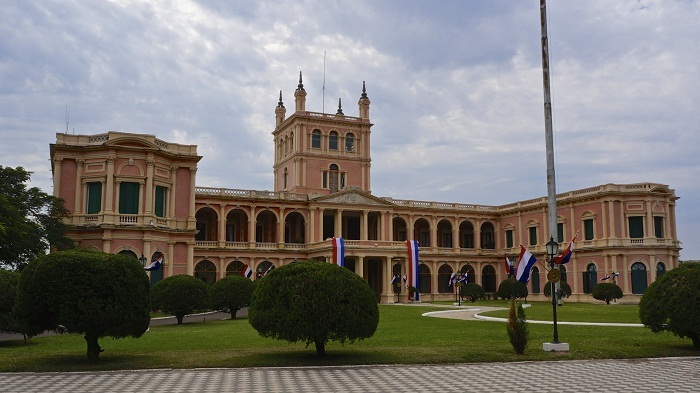 Even though there were several various European artists who came to Paraguay to handle the decoration of the building, the López Palace was almost finished in 1867. That was the year when the War of the Triple Alliance broke out and the palace was bombed and looted by the Brazilian-Argentinean coalition. Francisco Solano López had to go to the battlefield and never got the chance to live inside this amazing piece of architecture. Yet, the successors tried to restore the building, but the coups d’etats prevented them from living there, which made it suspicious that it must have been cursed. 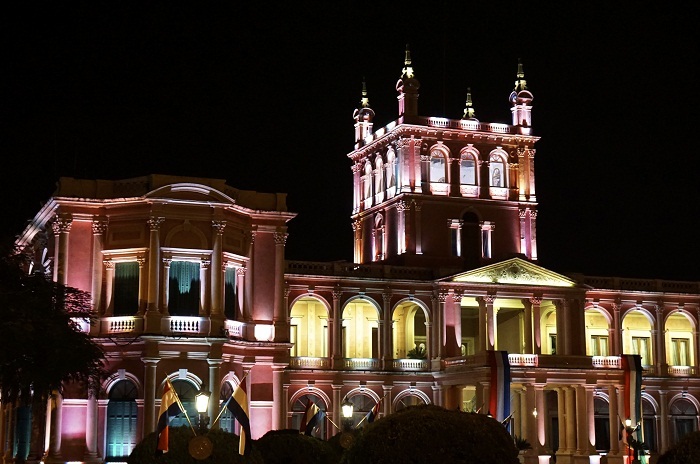 Nowadays, it is in perfect shape as it is the governing place for the nation, and the spectacular lightning at night is well worth visiting the capital of this small South American nation.